It’s been another fun and exciting year for the band so far. 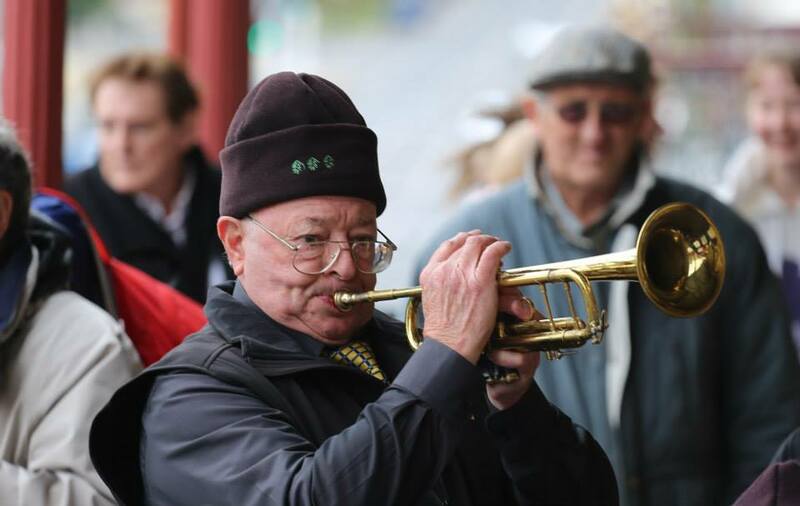 The Band has had the privilege of playing at the Avenue of Honour reopening ceremony, the 100 year ANZAC Day commemoration, and at Heritage Weekend on a cold, wet weekend in April. We then turned our attention to the VBL State Championships at South Street, and many weeks of intense rehearsals led to a really strong performance this year. We were just pipped at the post by the outstanding Western Brass, but went home happy that we had done our best. 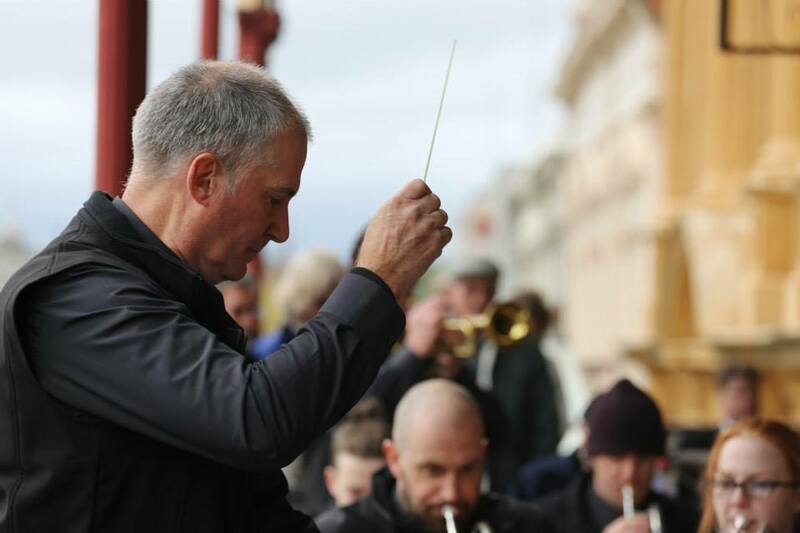 In the week before South Street, ABC Ballarat did a really lovely profile of the Band, including an interview with the Music Director and a recording of us practicing, which you can find here. With the rigours of contesting behind us for now, we now turn our attention to a series of community events in the second half of the year. While we love the challenge of a contest, it’s getting out and playing for the people of Ballarat that we enjoy the most! Check our calendar page for rehearsal times and details of upcoming events. We’re also really looking forward to getting back into our band room once the renovations are finished. Watch this space for further details. Heritage Weekend is another one of the band’s favourite gigs for the year. It’s such a great weekend with loads of activities all over town which bring people from far and wide. 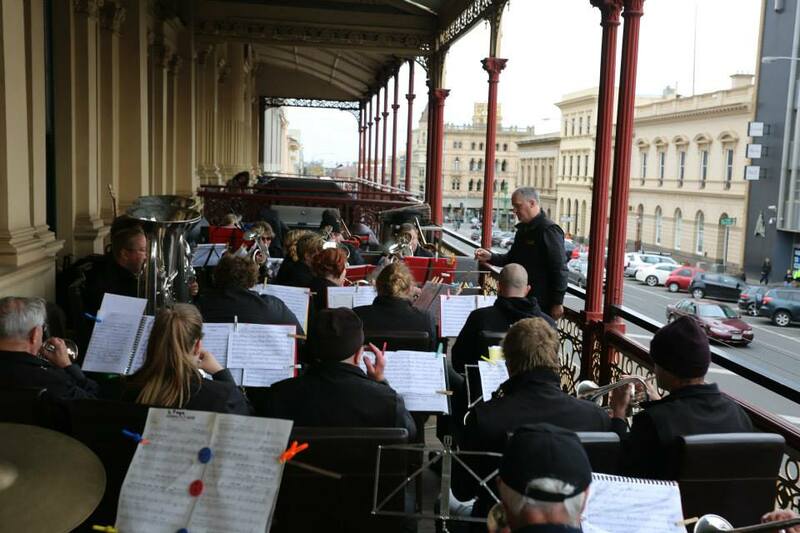 The band were given the pleasure of playing on the balcony of the George Hotel during the weekend, overlooking the beautiful and historic streetscape of Lydiard Street. We also had a display at the Town Hall during the weekend which detailed the rich history of the band and showed some of the historic items we have in our collection. Full details of the weekend can be found at the Heritage Weekend web site. Keep an eye on this site next year to plan your weekend, and make sure you drop by to the George Hotel for a listen!